Historical records indicate that spinal manipulation has been used to ease low back pain since the beginning of recorded time. In fact soft tissue (muscle, ligament and tendon) manipulation was documented in Chinese literature as far back as 2700 B.C. 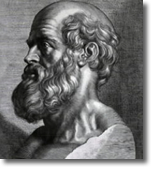 Hippocrates (circa 460-377 B.C. ), the “father of modern medicine,” himself wrote dozens of manuscripts concerning the healing arts including one focusing on manipulative therapy. 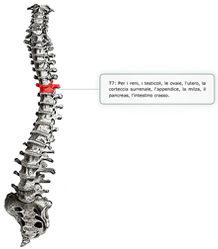 In it, he described the relationship of the spine to health and disease, instructing his students to, "Get knowledge of the spine, for this is requisite for many diseases." The Chiropractic profession was born on September 18, 1895 in Davenport, Iowa (coincidentally and significantly the same year that Roentgen discovered the x-ray) the day in which D.D. Palmer, a bone setter and magnetic healer, gave the first Chiropractic adjustment to a deaf janitor, Harvey Lillard. As the story goes, Lillard had been working at the Ryan building in Davenport, where D.D. 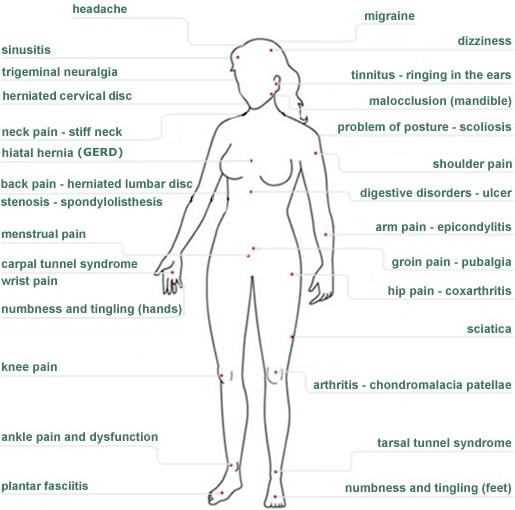 Palmer treated patients. He explained to Palmer that in 1878, he heard his back “pop” while bending over, and suffered a significant loss of hearing thereafter. Palmer ran his hand along Lillard’s back and felt a protrusion along the upper thoracic spine. Believing the malpositioned vertebra was creating pressure on the spinal nerve responsible for Lillard’s lost hearing, Palmer proceeded to adjust the vertebra to its normal position. This procedure resulted in restoration of Lillard’s lost hearing. 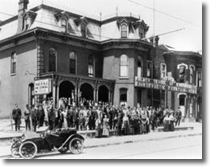 La Palmer School of Chiropractic (circa 1910 - 1920). The name chosen for this new profession was a combination of the Greek words kheir and praktikos (meaning "done by hand"). 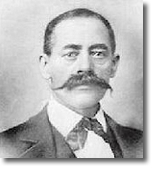 In 1897, D.D. added a school to his magnetic healing infirmary, and began to teach others his methods. It would become known as Palmer School of Chiropractic. Despite the fact that 5 of the first 15 graduates of the Palmer School of Chiropractic were medical doctors, this new drugless form of medicine suffered much opposition from the medical profession from the get go. 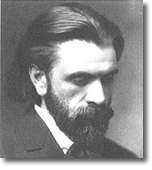 In 1906, D.D. Palmer was convicted of practicing medicine without a license and many other Chiropractors were prosecuted and jailed. In 1907, a landmark case came when Shegato Morikubo, a graduate of Palmer's school, was charged then found innocent of practicing medicine without a license. The judge decided that he was not practicing medicine...he was practicing Chiropractic. This was the first recognition of Chiropractic as a science in its own right. 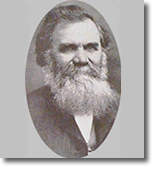 In spite of opposition, the march of Chiropractic went forward and Palmer's mantle was taken on by his son, B.J. Palmer. Over the next 60-some years, B.J. Palmer promoted extensive research into finding new methods of spinal adjusting and analysis, and introduced the new tool of x-rays to Chiropractic, enabling more accurate diagnoses. He would remain committed to pursuing higher standards for Chiropractic education throughout his lifetime. Chiropractic is approved under federal law in all 50 U.S. states, and is licensed or officially recognized in an increasing number of foreign countries. Chiropractic is included under Medicare and Medicaid laws, and most health insurance plans cover chiropractic. Most of the estimated 65,000 Chiropractic physicians in the U.S. practice in individual private practices, although more and more now integrate into group practices, multidisciplinary clinics, managed-care groups, and hospitals.